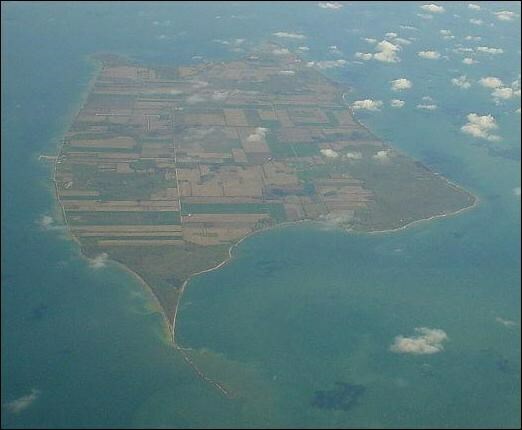 Pelee Island was originally a series of five limestone outcrops that were formed after the retreat of the Wisconsin Glacier about 6000 years ago, however the geological history of the island goes back millions of years and is represented by the accumulation and shaping of the materials from which the island is made. The rocks that make up Pelee Island represent two classes: Consolidated and Unconsolidated sediments. Consolidated sediments are materials that have been metamorphosed or cemented together, like limestone and sandstone. Ground water flows through fracture networks in these consolidated sediments. Unconsolidated sediments are sediments ranging from clay to sand to gravel, with connected pore spaces that allow ground water to be stored and transported. The limestone nucleus of the island consists of seashells and calcareous sediments of chemical and organic origin, and was formed on a Devonian sea bottom millions of years before the glacial period. With the retreat of the Wisconsin Glacier, the limestone surface was scraped clean and thin deposits of soil, sand and clay have created the conditions that make up the Alvar. Alvars are rare communities that occur on thin, discontinuous soil that lies overtop beds of limestone or dolomite. North American alvars support a distinctive set of flora and fauna, and almost 75 percent of these alvars are located in Ontario. 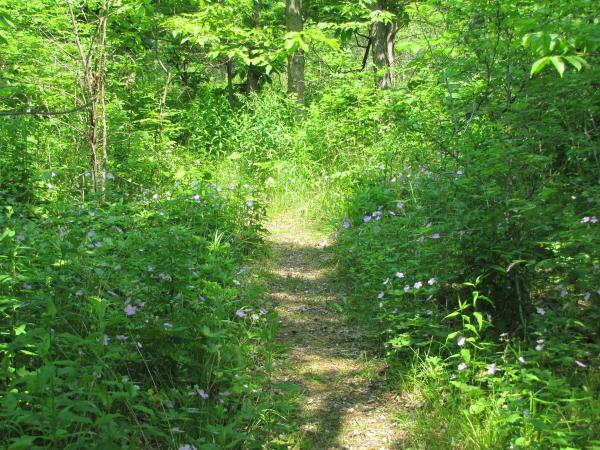 In North America, the only other alvars are found in New York, Michigan, Ohio and Ontario. The Stone Road Alvar on Pelee Island falls into the category of Alvar Savannas and Woodlands of which there are five different communities. These communities and characteristics are listed below. Visit the beach reference point as well as the posted coordinates to gather your information. Send your answers to me via my geocaching profile - DO NOT include them with your log. At the beach reference point, determine the distance from the water to the start of soil deposits along the Alvar. d) Medium to large flat shaped rocks. Thickness of rocks > 4 inches. Based on your observations and information gathered from the two locations, to what community type does the Stone Road Alvar belong? 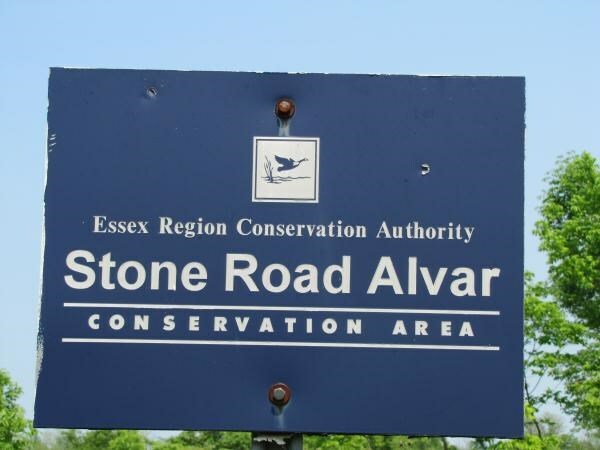 Optional: Include an image of yourself next to the Stone Road Alvar sign. Please do not disturb or remove any fossils as per the Conservation Authorities Act Ont. 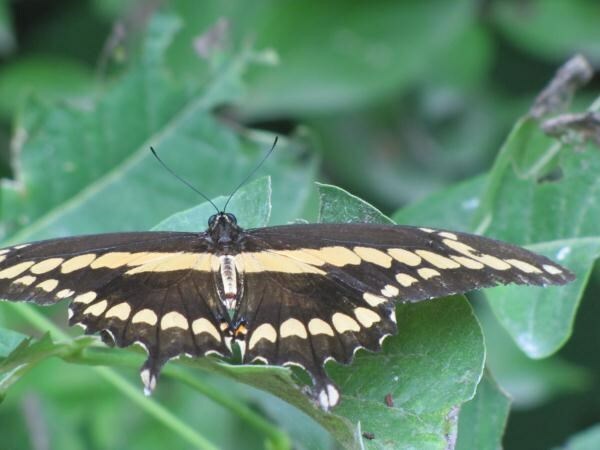 "The destruction, removal, or alteration of any part of the Stone Road Alvar, including the fossil filled limestone pavement, would be most regrettable, since this unique association of landforms, flora, and fauna is found very rarely in the region. To do so is also an offence under the Conservation Authorities Act Ont. Reg. : 200/88."